The internet is a wonderful thing; for anyone interested in a certain battalion or unit it is now possible to hammer a few key words into a search engine and find all sorts of information about their part in major, set-piece battles. Forums and discussion groups also have their place. 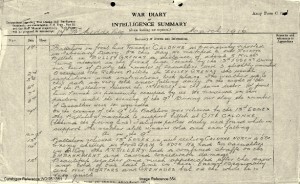 Some regimental museums have even transcribed all of their battalion war diaries, making them available online for free. Libraries, regimental archives and the National Archives all have information available to help understand events. However, what of the vast majority of time spent not going ‘over the top’ or taking part in the next ‘Big Push’? What of the less-well chronicled, monotonous but necessary routine of trench warfare? It can be an immensely satisfying task to follow a unit’s movements around the battlefield; this is often undertaken as part of a family pilgrimage or greater desire to ‘follow in the footsteps’ of a relative who served. For me, when battlefield guiding, it is the part of the job that I love the most. Don’t get me wrong – I enjoy a general tour around the main tourist sites as well as the next person but it is in analysing the minutiae of war diary entries and working out such mundane things as billeting arrangements or where sports events were held that yields most fulfilment. 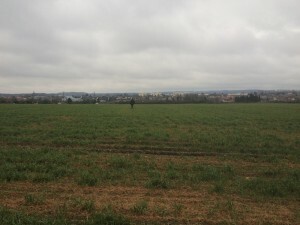 Walking along the route of Football Trench, Calonne North sector. 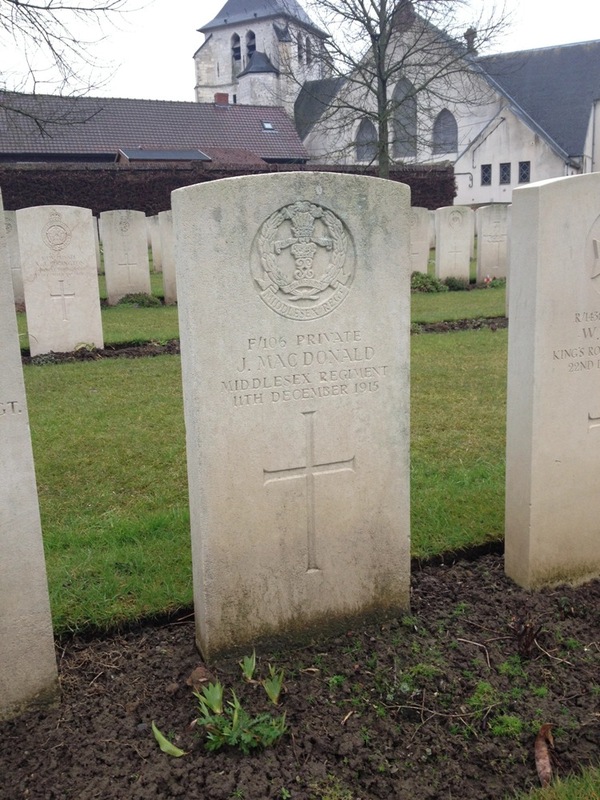 I recently returned from a bespoke trip following the 17th Middlesex Regiment (Footballers’ Battalion) around various villages and towns in French Flanders and the Gohelle coalfields in which they spent November 1915 – March 1916. My client’s grandfather had enlisted underage and spent four months with the battalion before being wounded in mid-March 1916; a wound which saved him from taking part in the Battalion’s action at Deville Wood on the Somme. During the four month period the Battalion held trenches at Cambrin, Givenchy-lès-la-Bassée and Festubert before taking over the Calonne sector from the French at the end of February. Over the course of our three day trip we visited all of these places, as well as many not associated with the 17th Middlesex; Fromelles, Aubers, Hulluch and Loos. Our stops were not solely restricted to places but included visits to 17th Middlesex Regiment men who had been killed in action. To stand at the grave of Donald Stewart (who served under the alias of Private James MacDonald) in Cambrin Churchyard Extension and know he was the first man of the battalion to be killed in action struck a particular chord. However, for me the highlight came during our visit to Béthune. 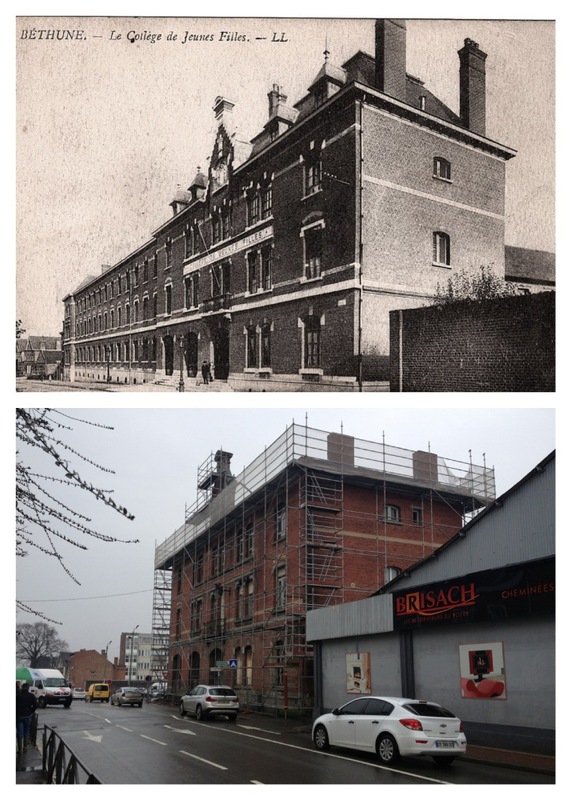 The Battalion war diary for 2 December records a move to Béthune and billeting in the College des Jeune Filles. I had an old postcard of the college and knew the greater part of it still stood so arranged to visit it during our lunch stop. Battlefield guides will recognise the satisfying feeling – being able to tell someone that their relative was at that spot on a certain date, not nearby or somewhere in the town but here, actually here. We had the same feeling eating our lunch of ham and cheese baguettes in the square at nearby Beuvry. A poorly-attended market filled half of the square but, as we sat eating, I was able to explain that this village, now almost a suburb of Bethune was where the Footballers’ Battalion had spent Christmas Day 1915. There was no plaque commemorating this event, no visible link at all, just the knowledge that men of the Battalion would have walked around the square over the festive time, amongst them my client’s grandfather. It made the lunch, eaten in the car whilst a steady drizzle fell that bit more special. 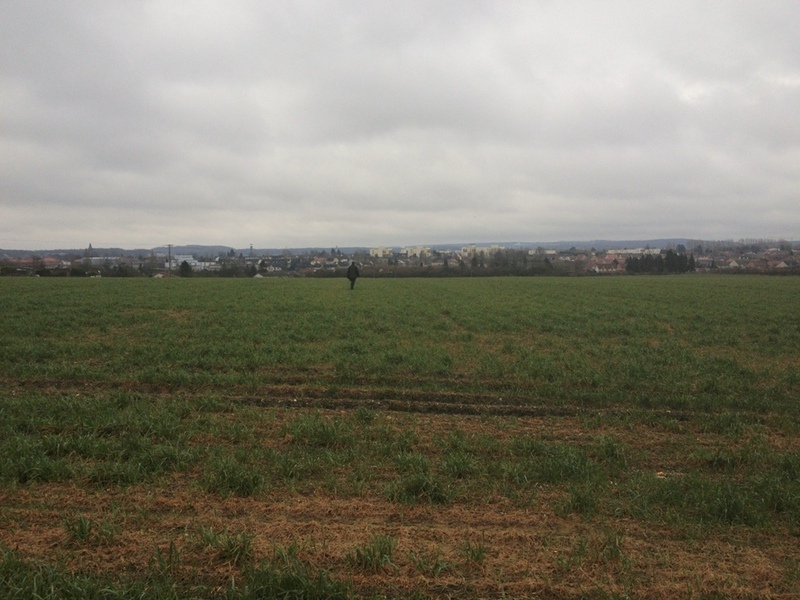 After a tour around the Loos battlefield I took my client to the site of Middlesex and Football Trench in the Calonne North sub-sector. It was here in that his grandfather was wounded in March 1916. 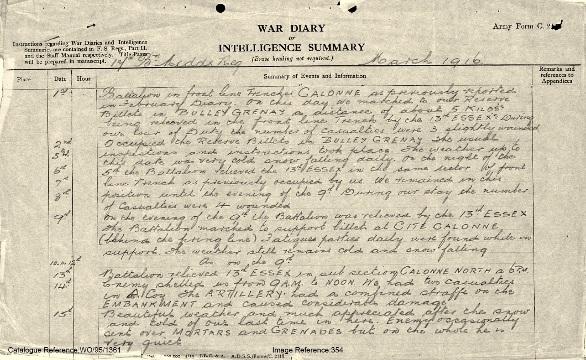 The war diary of the 16th records ‘4 casualties occurred from GRENADES, 2 in “B” Coy and 2 in “D” Coy’; it is likely that my client’s grandfather was one of those wounded men as he left France on the 18th, crossing the channel for treatment at a hospital in Britain. Such were the effect of the wounds received that he was discharged from service three months later. Compared to many who served, his war was unremarkable – his service record shows he played no part in any major offensive and yet the four months he spent with the 17th Middlesex from November 1915 – March 1916 had a profound effect on him for the rest of his life. 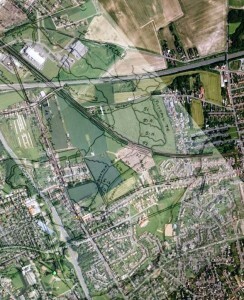 Calonne North map overlaid on to Google Earth. Football Trench runs between the A21 motorway and the Lens – Bethune railway embankment. 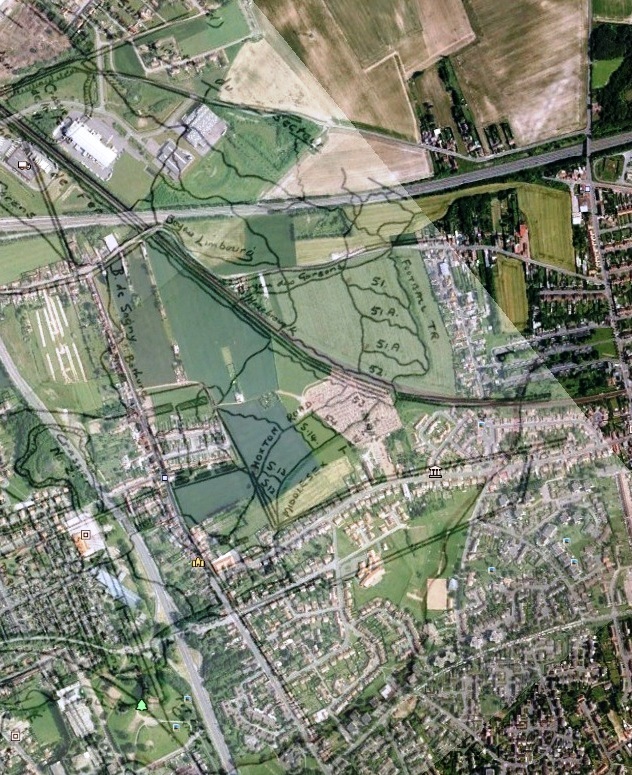 Football Trench ran through what is now an open field next to the A21 motorway and the urban sprawl of miners’ cottages of Liévin. The railway line from Lens to Bethune runs across the northern tip of Middlesex Trench. Much of the rest of it is hidden under a civilian cemetery or is being built upon for new housing. A casual visitor to the site today would find it far from enchanting. Locals stared at our car with British number plates; clearly, the back streets of Liévin didn’t see too many battlefield tourists. However, the relative inaccessibility of the spot made visiting it that bit more special. To those of us in the car, it felt as though we had tracked down a site rather than merely followed the tourist signs. 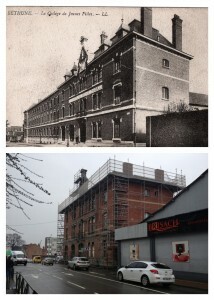 Having researched the young Middlesex soldier it certainly had an effect on me. It was a real pleasure to be able to share these places with his grandson; not just the obvious sites of front line and communication trenches but the places in he was billeted, the towns and villages he would have known well and the roads he marched along on his route to and from the front. To me, this is what makes following in a soldiers footsteps such an enriching experience. N.B. 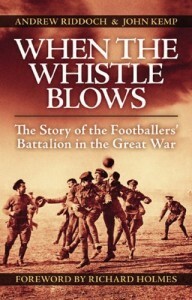 A very readable account of the 17th Middlesex Regiment is Andrew Riddoch & John Kemp’s ‘When the Whistle Blows: The Story of the Footballers’ Battalion in the Great War’ – highly recommended.